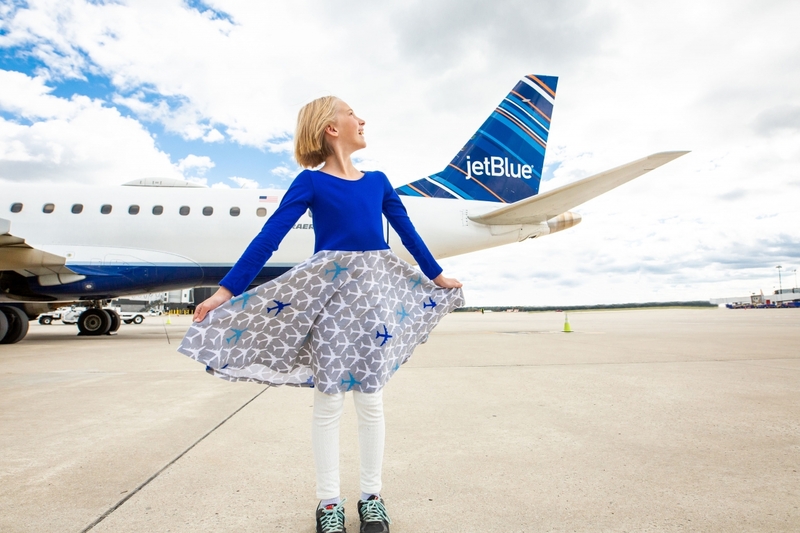 NEW YORK, November 8, 2018 /3BL Media/ – JetBlue (Nasdaq: JBLU) today announced a collaboration with Princess Awesome, a clothing company whose mission is to give girls options that reflect their full range of interests. Princess Awesome teamed up with JetBlue for the special aviation-themed “Airplanes Collection,” featuring blue jets as the focal point of the line. 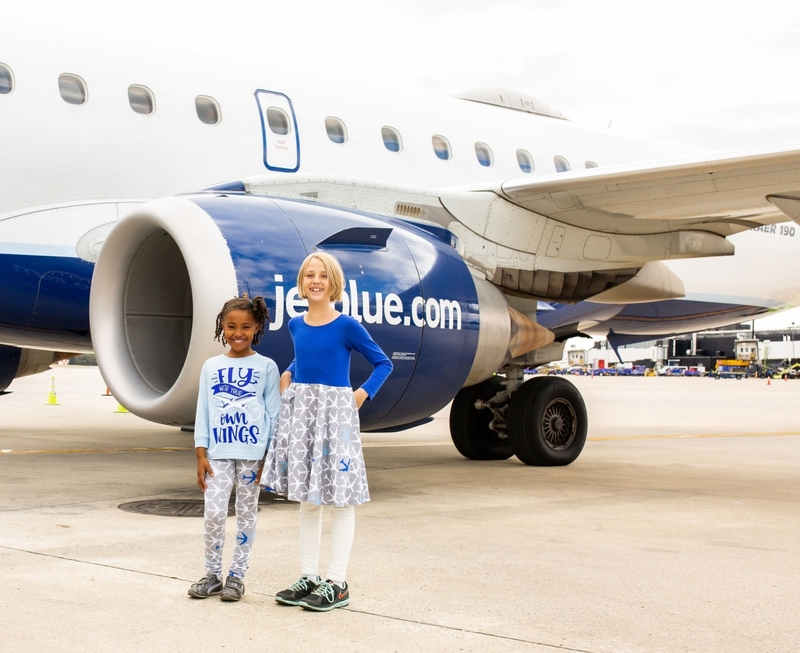 This capsule collection highlights both JetBlue’s and Princess Awesome’s commitment to providing access for girls to pursue interests in science, technology, engineering and mathematics (STEM). The Airplanes Collection includes dresses, leggings, scarves, shirts in infant and girls sizes and is available exclusively from November 8-19, or while supplies last, on ShopJetBlue.com – JetBlue’s online shopping site for branded and related gear. Pieces from the line will be available at Princess-Awesome.com after November 13. To bring the collection to life, one model and one contest winner were photographed at Baltimore/Washington International Thurgood Marshall Airport (BWI) in the new Airplanes Collection and where they had the opportunity to view JetBlue’s operations. "Every kid makes airplane noises and points when they see a plane fly overhead," Rebecca Melsky, Co-Founder and CEO of Princess Awesome, notes, "But no girls' clothing has airplanes on it. 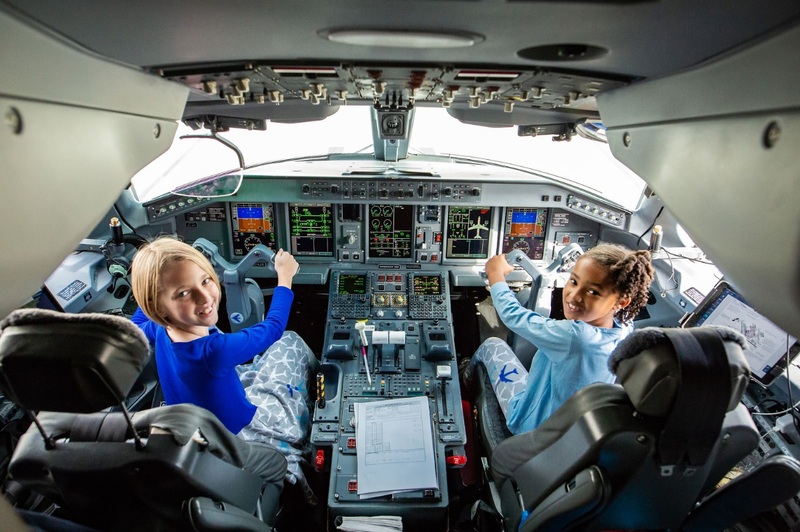 Girls love flying on planes and learning about aviation engineering just as much as boys do. The Airplanes Collection honors that interest, and also helps spark meaningful conversations when adults notice that a girl is wearing a dress with airplanes on it." Princess Awesome makes clothing that honors the wide range of girls' interests. Co-founders Rebecca Melsky, a teacher and mother of two, and Eva St. Clair, a stay-at-home mother of four, started Princess Awesome in 2013 when Rebecca encountered a problem. She wanted to foster her daughter’s interest in math, science, and adventure, but her daughter would only wear dresses. Princess Awesome believes there's nothing mutually exclusive about loving twirly dresses and also loving trucks, science – or airplanes. Princess Awesome teamed up with the empowering t-shirt brand Free to Be Kids to create the shirt for the Airplanes Collection. For more information on Princess Awesome, visit Princess-Awesome.com. According to Women in Aviation International, only seven percent of U.S. pilots are women. 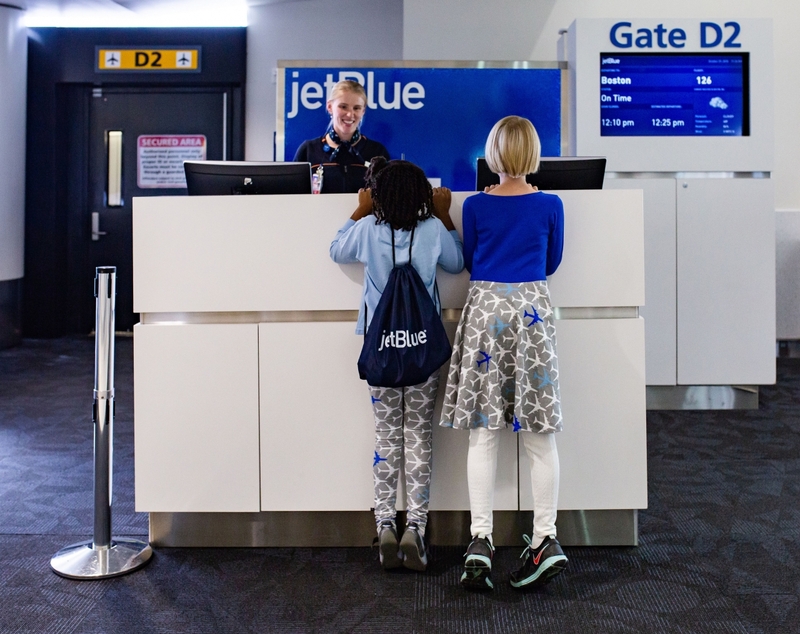 Both JetBlue and JetBlue Foundation are dedicated to introducing students from traditionally underserved communities, particularly girls, to STEM and aviation and helping increase these numbers. Giving back is part of JetBlue’s DNA and is core to its mission of inspiring humanity. The airline focuses on the areas that are most important to the airline’s customers and crewmembers – Community, Youth/Education and the Environment. JetBlue’s core programs and partnerships directly impact the areas where its customers and crewmembers live and work by enhancing education and providing access to those that are traditionally underserved. Princess Awesome is a company founded by women - mothers - who want girls to be able to express themselves through their clothing. We are committed to making clothes that girls want to wear, and that parents want to see on their daughters. Our guiding principle is to listen to what girls like to wear, do, and play, and to make that available to them - so girls can wear all that they are. Shop the collection at https://princess-awesome.com/.